Wednesday night is sewing class at Sarah’s house. Melissa and I joined in to stitch and chat. The students are working on Sarah’s Wagga Quilt. It is so fun made out of recycled wool blankets and sweaters then embellished with stitchery and wonderful three dimensional flowers. It was so cozy it would definitely keep me warm in our Ohio winters. They start with a pieced background then go to town with the stitching. Peta was working on the stitching on her background below. How fun I wish I could come back and take the class. They each brought quilts in progress as well as completed quilts to share. 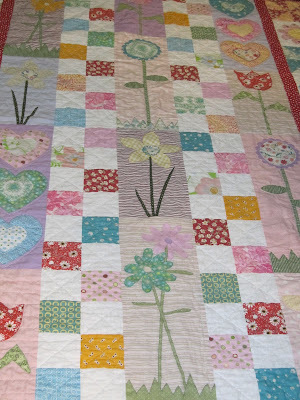 Florence is working on this amazing English paper pieced quilt. She is nearly finished with only a small section at the top to complete. Fiona and Peta also brought quilts to share. Melissa and I had a great time. I will be waiting anxiously to see how your Wagga’s progress. This entry was posted on Saturday, August 7th, 2010 at 10:03 pm	and is filed under Uncategorized. You can follow any responses to this entry through the RSS 2.0 feed. You can leave a response, or trackback from your own site. What fun and I love that wool quilt.. So pretty and lovely stitching.. Enjoy you time, it really seems like you are having lots of really good sewing time. A lot of beautiful quilts, but really love the wool and sweater quilt. I use a lot of recycled wools and have some sweaters too, very fun idea. So much prettier than the Waggas my Mum made for our beach house more than 50 years ago. I'm inspired to make one now. These are gorgeous. Thanks for showing them. Recycled sweaters? I'd never thought of using them in a blanket. Hmmmm. It was definately a nice surprise to see you at Sarah's. 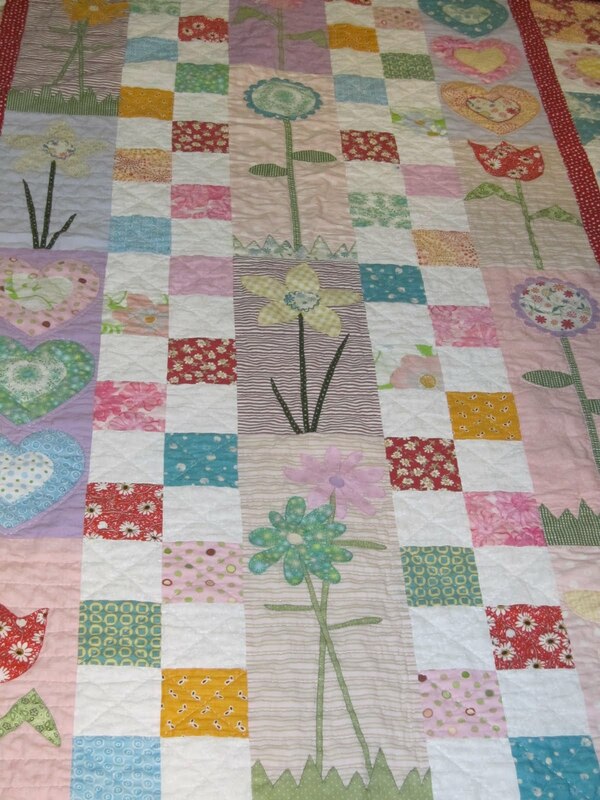 If I'd known you were going I would have begged Sarah to ask you to bring your quilts for Show and Tell! Hope you enjoy the rest of your trip here and I look forward to reading about it on your blog. Thanks so much for coming to class Sue, it was lovely to have you and Melissa along! A Wagga…what a wonderful idea and name! Do you back the quilt with anything? I've got to put that on my list of projects! Beautiful work by all!